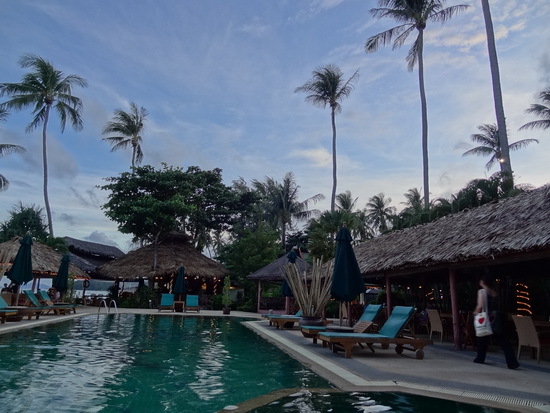 Friendship Beach Resort on Rawai beach is mainly a retreat for wellness seekers but it also welcomes anyone looking for a peaceful place to stay on Phuket with some added comforts. Ad Book now! Rates from US$52.27++. Average rating 8.2 from 262 reviews. Plenty of space around the pool for both fasters and feasters. As its name suggests, this small resort is a friendly place that offers — for Phuket — reasonable value for beachfront accommodation. Found three kilometres south of Ao Chalong off Viset Road, Friendship Beach sits in a well-tended tropical garden setting with a large open-air restaurant and swimming pool at the beachfront. Its 32 rooms range from deluxe rooms with king-sized beds, to deluxe family rooms with a king and single bed, one- and two-bedroom suites and beachfront suites. All rooms have TVs, WiFi, safes, mini-fridges, air-con and outdoor showers. A peek inside one of the roomy deluxe rooms. Though the views across the sea out to Ko Lon are fantastic, the beach is not suitable for swimming. 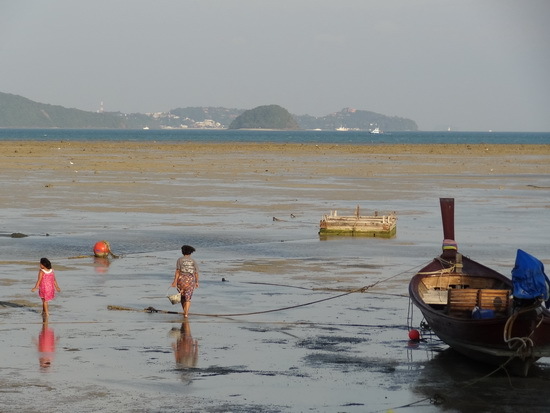 The sands are coarse and at low tide the water in the bay practically disappears, leaving behind a large mud flat and marooned boats. Many Friendship Beach guests are on detox/fasting programmes booked in a package with Atmanjai Wellness Centre, which sits in a separate building just behind the resort. As a result, the restaurant’s menu has a selection of raw, vegetarian and vegan food, as well as health-boosting juices, smoothies and other healthy fare. The menu also has meats, pastas, pizza, burgers, Thai and Tex-Mex dishes, plus beer, wine and cocktails, which must put the fasting detox guests’ temptations to the test. Prices for most dishes are in the 150 to 300 baht range, a bit high for the Rawai area but the portion sizes are huge and every dish we’ve tried so far has been delicious. Next to the resort is Kite Zone kite surfing school, which offers kite surfing lessons and standup paddle boarding rental. Atmanjai has a spa and a studio with yoga, Zumba and Feldenkrais classes. Though Friendship’s been open under its current management for about 10 years it still looks and feels fresh, since its owners are constantly upgrading and renovating the rooms and facilities. The reno work can intrude upon the peacefulness of the resort, especially during the low-season months of May through October, so be sure to check when booking if noise is a concern. Let the crab-hunting begin. Friendship Beach at low tide. 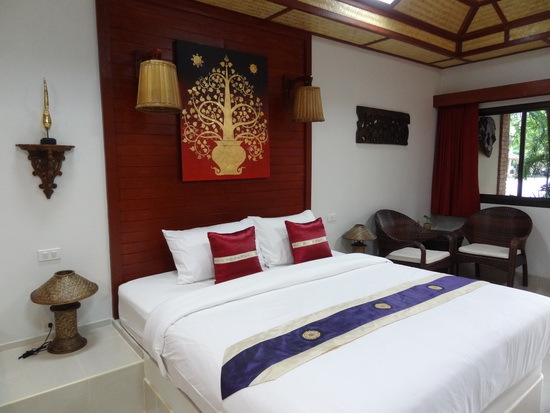 Prices are firmly in the flashpacker-plus range; rooms are large and well designed with Thai and tropical touches. We were quoted 2,950 for the deluxe room and 5,500 baht for the waterfront bungalow, breakfast included, but were told we’d be able to find better promotional rates online. 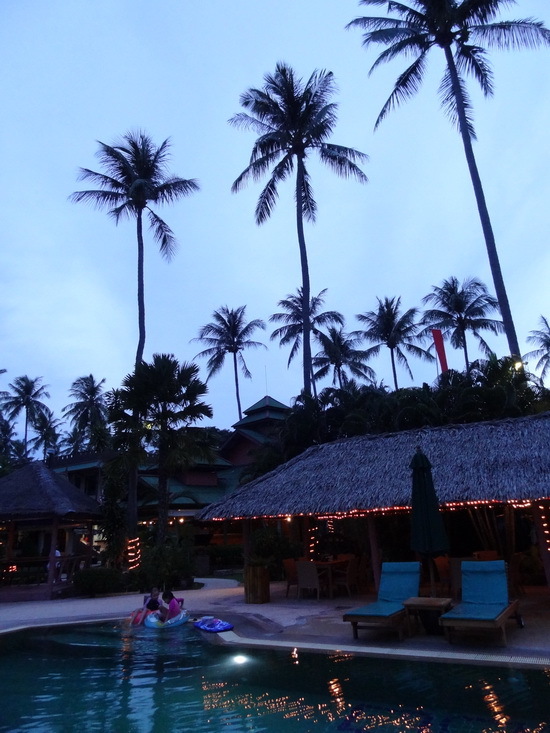 On an internet search we found rates as low as 1,593 baht a night in July during Phuket’s low season. High season rates in December and January start at just under 3,000 baht. Aside from those doing a detox, Friendship Beach will find appeal among couples and families seeking a quieter seaside alternative to the busier resort areas of Kata, Karon or Patong. There’s not much within walking distance of the resort, so you’ll need to hire a car, motorbike or taxi to get around. The nearest swimming beaches are Nai Harn and Kata, while nearby Rawai has good Thai seafood restaurants along the waterfront. Check rates at Friendship Beach Resort on Booking.com.